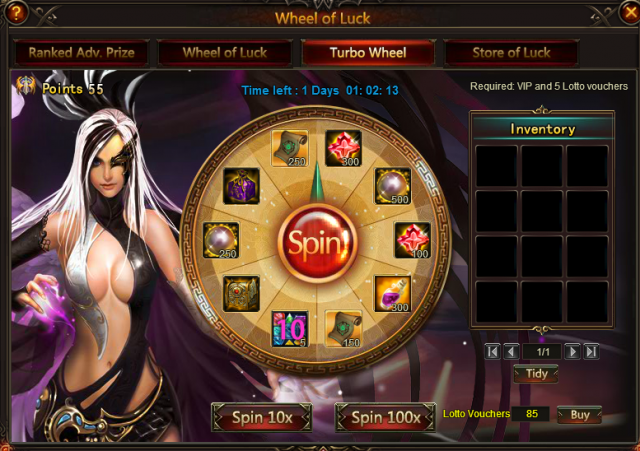 Spin the wheel of Luck to win Bless Stone,Lv.9 Valuable Gem Chest, lvl.10 Fusion Gem Chest, Spring of Wisdom, Soulstone, Adv. Energy Card(10) and more! 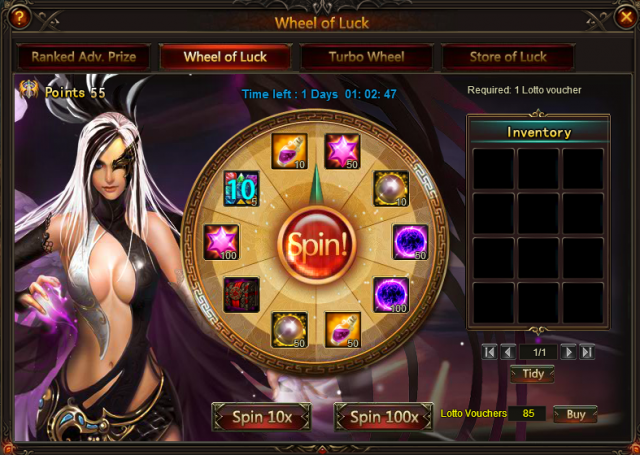 - You can spend points to make purchases in the Store of Luck. 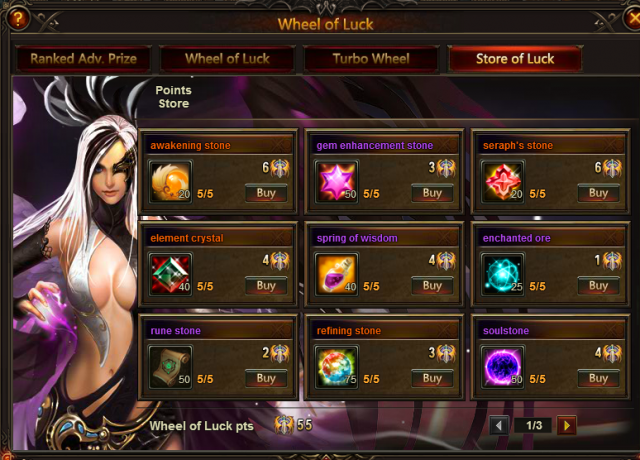 Many items are newly added into Store of Luck. Come and check what you need here! 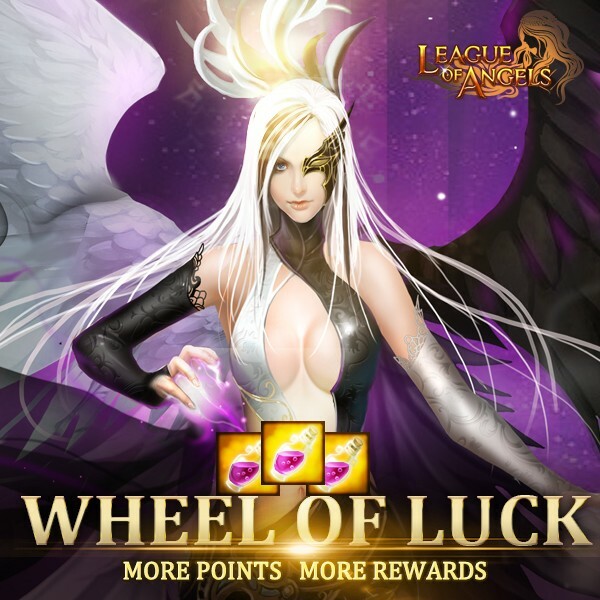 - Daily Top 10 players who have at least 30 points will get extra Elemental Crystal; Daily Top 10 players who have at least 120 points will get Legendary Exp Totem Chest. More exciting events are coming up through Sep 23 to Sep 25 (Server Time), check them out in the in-game Hot Events menu now! LoA_Win Arachnid Totem in Beach Treasure! LoA_Capsule Toys: Get Snow Queen and Fire Queen! LoA_House of Cards: Nether Lord Shows Up! LoA_Travel in Time to Seek For Hemera's Treasure!